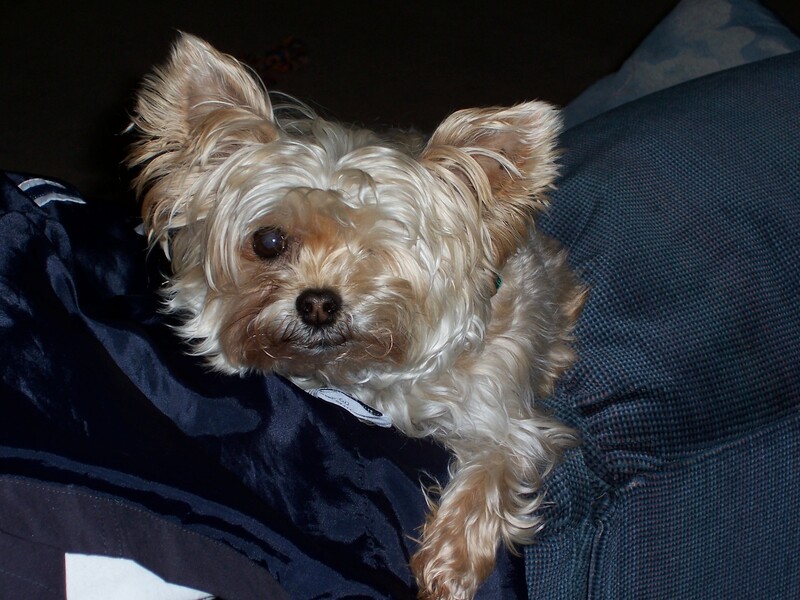 About two months ago I wrote about our little dog Tina in my article “Doggie Heaven.” At that time her obvious declining health helped prepare us for the inevitable. I wrote the piece with a heavy heart, and with a rather hopeless feeling that this would be the end forever. Like many people, I believed that only humans are immortal (in essence) because, after all, we have been created in the “image of God” (Genesis 1:26). Animals are God’s creatures, and He cares about them, but they do not bear the Imago Dei. That remains a true statement, but I have come to the conclusion that my former belief that only humans have an eternal soul is false. Shortly after posting that article, a very good and respected friend gave me a book by Gary Kurz to encourage me as I walked though this “valley of the shadow of death.” In the book, Cold Noses at the Pearly Gates, Kurz walks us though Scripture and demonstrates, through Scripture alone, that animals do indeed have eternal souls, and they do go to heaven when they die. This assurance made my heart glad because it was the conclusion to which I was coming on my own. I cannot possibly cover every aspect in this short post that Kurz takes an entire book to cover, but the concept, when you seriously think about it, is very simple. When God completed His work of creation, He said it was “very good.” There was no sin in the world, neither was there any death. (This fact should make Christians reject evolution in any way, shape or form. Death is NOT “very good.”) Every creature having the “breath of life” (Hebrew: ruach) was meant to live forever. Death is the enemy (1 Corinthians 15:26); therefore death could not be part of a “very good” creation. But through man’s sin, death entered the world (Romans 5:12) and the whole creation was affected (Romans 8:22). Animals suffer the curse of death even though they are innocent of sin. This is why animals were slain from the very beginning (Genesis 3:21) to atone for the sins of man – innocent blood was required. But the blood of animals cannot atone for the sins of man (Hebrews 9:12), only the sinless blood of the Lamb of God could atone for our sins. Jesus died for the sins of man. He did not die for animals, because they did not sin. In time, He will make all things new (Revelation 21:5). When He does, all those sparrows who escaped not His notice when they fell, will fill the New Heavens and New Earth, and so will all His other creatures as the prophet said (Isaiah 11:6-9; 65:25). All those animals in whom is the “breath of life” will live again. Last weekend, our little Tina fought for every breath. Early Saturday morning, in the middle of the night we took her to the animal ER thinking that we might have to put her down that night. The vet gave her some injections to help her discomfort and sent us home. Later that morning, Tina was not doing any better, it seemed, so we took her in to our regular vet. He diagnosed her with bloat and prescribed barium to help relieve the gas and Benadryl to help with her breathing. But that did not help either, and she continued to struggle for every breath. Poor baby was so tired, but she had to hold herself up in order to breathe, and could not lay down to sleep or rest. It was such a pitiful sight to watch her sit in the middle of the floor, head drooping down trying to sleep but unable to. That night we propped her up with towels and medicated her so she could rest. The next day, Sunday, was another day of fighting for every breath. Monday morning came and we took our baby to the vet one last time. We came home without her. I held her in my arms as the vet administered the fatal injection, and as I watched her ruach leave her little body, I wept uncontrollably – we both did. Almost a week has gone by, and there is not a day that goes by that we don’t think about her. She was just a little dog, but she left such a big hole in our lives. The book my friend gave me, Cold Noses at the Pearly Gates, has given me the assurance that even though she is gone for now, she is not gone forever. We will see her again. And she’ll have both eyes! I’m waiting to see my long lost kitty, too. There’s something about the affection animals shows which declares they weren’t meant to just exist for a little while and vanish forever. I’d not thought about the Isaiah passages referring to resurrected creatures. It seemed enough to have enough survive to repopulate earth, but now I get to thinking about the amount of destruction leading up to Jesus’ return, the more reasonable this view seems.